Whether advocating for a cause, challenging “what’s always been done” or inspiring the masses, RISMedia’s 2019 Real Estate Newsmakers are linked by a shared thread: positivity. Our 2019 class contains the stories of more than 230 Newsmakers, or individuals in the industry making news in positive ways, from their backyard or on a bigger stage. RISMedia’s Real Estate Newsmakers was born out of what we cover every day: our readers’ stories. It’s our goal to highlight the impact you’ve had on the industry and your neighborhoods, from the full-fledged Futurists looking beyond the here and now, to the Luminaries who’ve made their mark in real estate, and every Newsmaker in between. The 2018 Class of Newsmakers—our first—were honored during our Real Estate Newsmaker Awards Reception & Dinner this past spring. After that, we asked the industry for their Newsmakers—many who’ve been unsung until now. Countless nominations were submitted over the summer, and we’ve been inspired and motivated by what you’ve shared. Here, we showcase their stories. Know a Newsmaker? 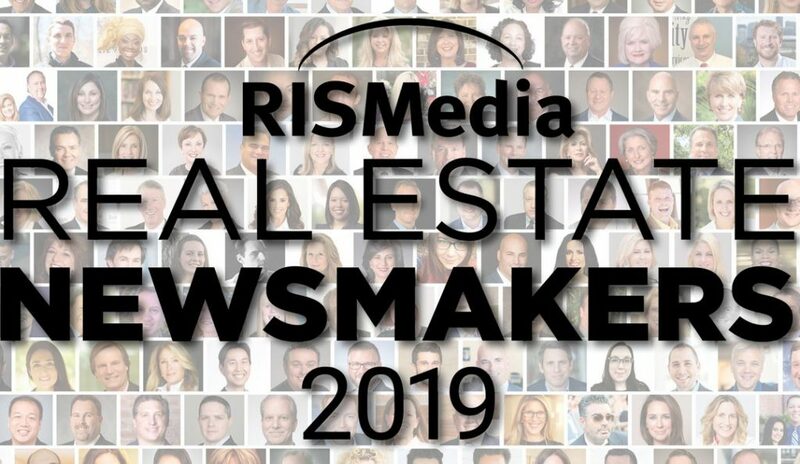 For information on nominating or becoming a 2020 RISMedia Real Estate Newsmaker, please email our executive editor, Maria Patterson, at maria@rismedia.com. Nominations will be accepted in early 2019.